This kit is for a AT-AT driver chest box. 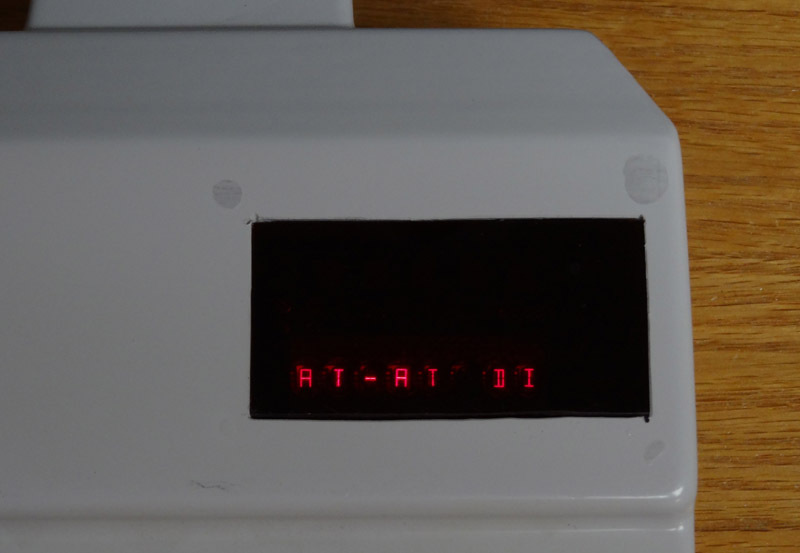 The board includes an accurate programmable bubble display (ALPHANUMERIC) that was used in the originals. 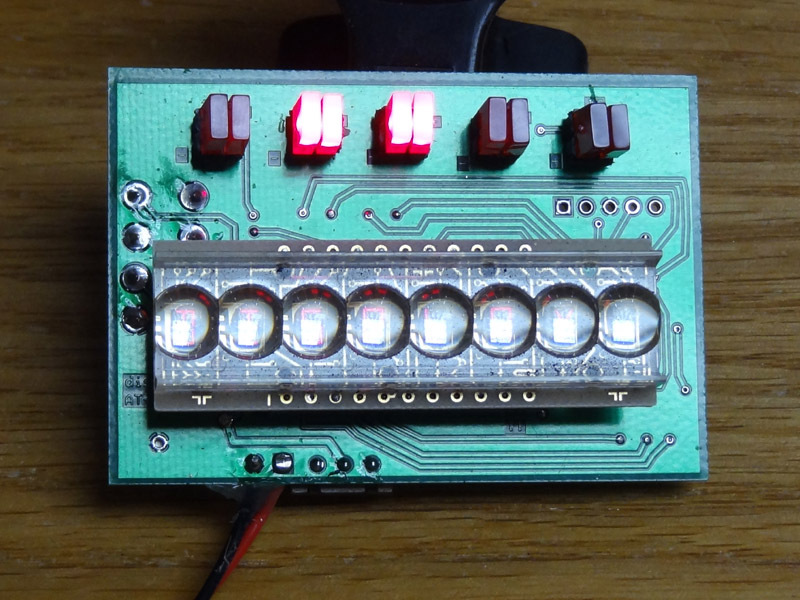 And the top row has blinking LEDs with different sequencing modes the user can select. 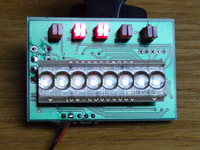 Any message can be displayed on the bottom row displayed, with different display modes such as scrolling, blinking, etc. The speed of the message can also be set. There are only a handful of these bubble displays available, so this run is limited to on-hand stock. This board is the penultimate addition to an already rare costume!